Julius Winfield Erving II (born February 22, 1950), commonly known by the nickname Dr. J, is an American retired basketball player who helped popularize a modern style of play that emphasizes leaping and playing above the rim. Erving helped legitimize the American Basketball Association (ABA) and was the best-known player in that league when it merged with the National Basketball Association (NBA) after the 1975–76 season. He is now a coach of Tri-State of the BIG3. 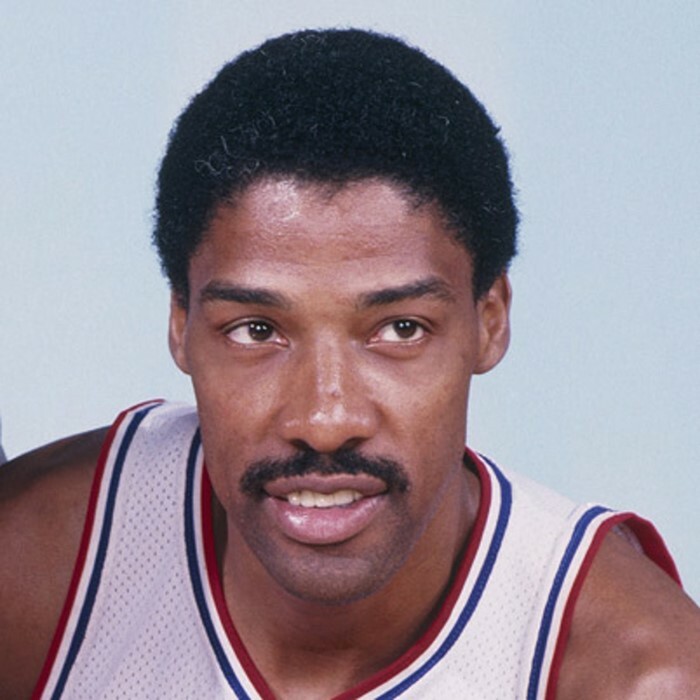 Erving won three championships, four Most Valuable Player Awards, and three scoring titles with the ABA's Virginia Squires and New York Nets (now the NBA's Brooklyn Nets) and the NBA's Philadelphia 76ers. He is the sixth-highest scorer in ABA/NBA history with 30,026 points (NBA and ABA combined). He was well known for slam dunking from the free throw line in slam dunk contests and was the only player voted Most Valuable Player in both the ABA and the NBA. Erving was inducted in 1993 into the Basketball Hall of Fame and was also named to the NBA's 50th Anniversary All-Time team. In 1994, Erving was named by Sports Illustrated as one of the 40 most important athletes of all time. In 2004, he was inducted into the Nassau County Sports Hall of Fame. Many consider him one of the most talented players in the history of the NBA; he is widely acknowledged as one of the game's best dunkers. While Connie Hawkins, "Jumping" Johnny Green, Elgin Baylor, Jim Pollard and Gus Johnson performed spectacular dunks before Erving's time, "Dr. J" brought the practice into the mainstream. His signature dunk was the "slam" dunk, since incorporated into the vernacular and basic skill set of the game in the same manner as the "crossover" dribble and the "no look" pass. Before Julius Erving, dunking was a practice most commonly used by the big men (usually standing close to the hoop) to show their brutal strength which was seen as style over substance, even unsportsmanlike, by many purists of the game. However, the way Erving utilized the dunk more as a high-percentage shot made at the end of maneuvers generally starting well away from the basket and not necessarily a "show of force" helped to make the shot an acceptable strategy, especially in trying to avoid a blocked shot. Although the slam dunk is still widely used as a show of power, a method of intimidation and a way to fire up a team (and spectators), Dr. J demonstrated that there can be great artistry and almost balletic style to slamming the ball into the hoop, particularly after a launch several feet from that target.